Lionsgate’s Power Rangers reboot wasn’t a big success when it hit theaters in 2017, but perhaps the characters will fare better on video game consoles. According to Variety, Lionsgate is collaborating with Hasbro and nWay on Power Rangers: Battle for the Grid, a new cross-platform fighting game based on the long-running franchise. The developers revealed the game via a short announcement trailer. 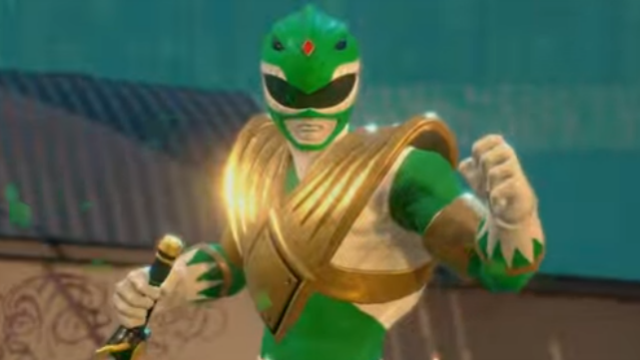 As a nod to fans, the trailer notably features Jason David Frank, a.k.a. Tommy Oliver / the Green Ranger. Battle for the Grid will be available on PlayStation 4, Xbox One, Nintendo Switch, Steam, and PC. Details about the game’s premise are scarce. Nevertheless, fans will know that the “grid” in the title refers to the Morphin Grid. In the Power Rangers universe, the Morphin Grid is the energy field that endows all Rangers with their enhanced abilities. It’s touted as “the game Power Rangers fans have been waiting for,” and the game boasts a new combat system that’s “easy to learn but hard to master.” It also looks like it will feature Ranger suits spanning the franchise’s 25-year history. New content is expected to be added periodically once the game debuts. Battle for the Grid is still without a release date. However, Variety indicates that more info will be shared over the next few weeks. You can check out the game’s announcement trailer below, then share your thoughts in the comment section!